A Denver personal injury lawyer explains how restitution in criminal cases can impact civil cases. Even if you receive a civil award from an insurance company for losses received an automobile accident, you may still be entitled to restitution as part of the sentence in the criminal case. Restitution seeks to make the crime victim whole. It is important for the plaintiff to consider how restitution will influence his case for losses arising from the incident. 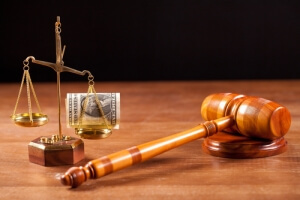 When you receive a notice of restitution from the District Attorney’s Office, contact a Denver personal injury lawyer at Bell and Pollock PC to review this information with your attorney to insure that you get any restitution you are entitled to from the criminal case. This will be in addition to what you may receive in the civil case.